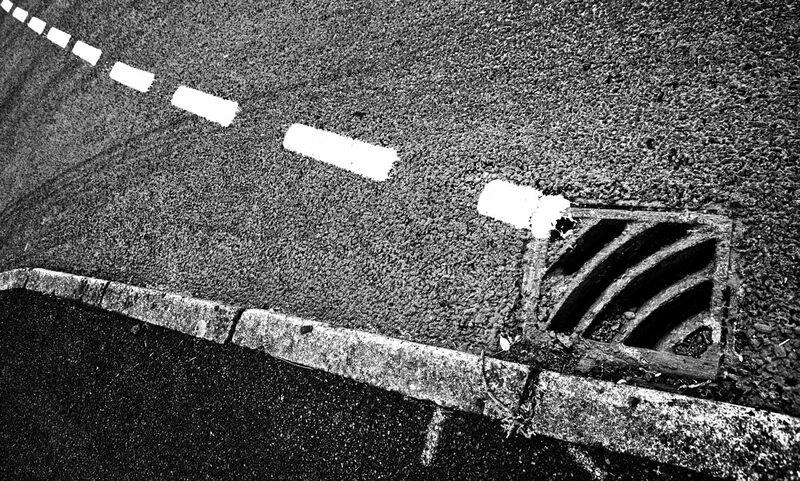 Drain, with kerb, dashed white line and skid marks; Thatcham, Berkshire; 1 June 2016. Street scene in downtown Thatcham: shapes, textures and (mainly) curving lines. Color Efex Pro 4 has been used to give the end result the look of black and white infrared film. Technique: D700 with 24-120 Nikkor lens at 24mm; 400 ISO; Color Efex Pro 4. A corker out of nothing again. Very special.